Afterschool youth programs have been serving low-income youth since the late 1800s. This is well documented in Robert Halpern’s book, Making Play Work. The History of Afterschool in America will also be the subject of a documentary video that we are working on currently. The demand for afterschool and summer learning programs in communities of concentrated poverty is high. Both participation in and the demand for afterschool and summer learning programs is higher in communities of concentrated poverty compared to the national average. 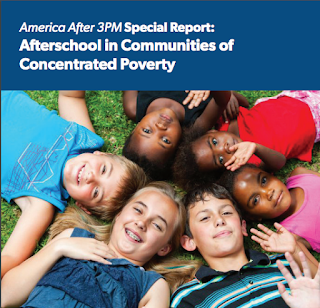 Parents living in communities of concentrated poverty rely on afterschool programs. Parents living in communities of concentrated poverty looked to afterschool programs as a source of support for their family, more so than parents living outside of these communities. For more infographics from the Afterschool Alliance, click here. 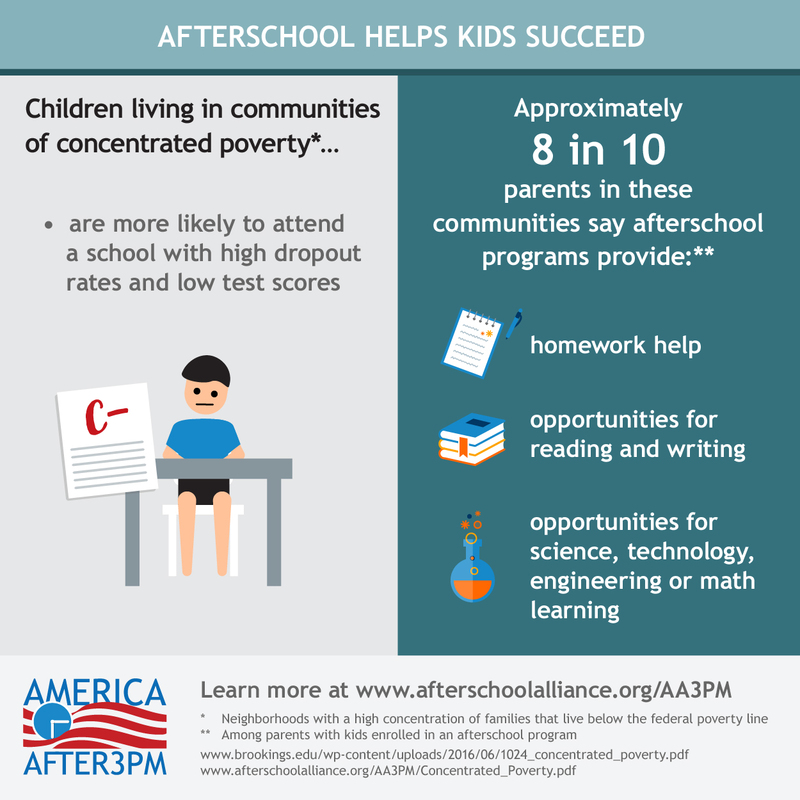 Afterschool programs provide integral supports for children living in communities of concentrated poverty. An overwhelming majority of parents living in communities of concentrated poverty report that their child’s afterschool program provides opportunities for physical activity (87 percent); homework assistance (81 percent); STEM learning opportunities (78 percent); opportunities for reading or writing (76 percent); and beverages, snacks or meals (75 percent). Key barriers exist regarding access to afterschool programs in communities of concentrated poverty. Accessibility and affordability are two major obstacles affecting the ability of parents living in communities of concentrated poverty to enroll their child in an afterschool program. 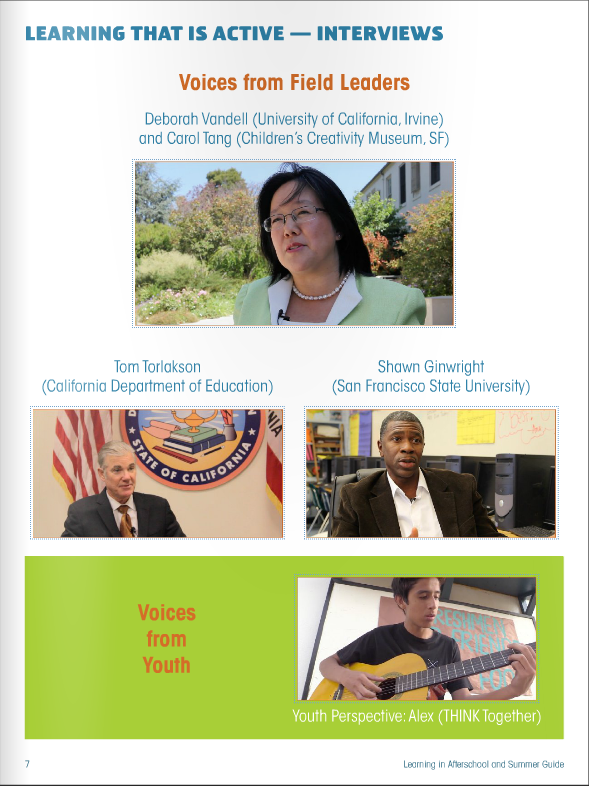 Jodi Grant, Executive Director at the Afterschool Alliance, will share some of the findings at our upcoming How Kids Learn VI conference (San Francisco) in December. Visit the America After 3PM page where you can read the full report or executive summary. 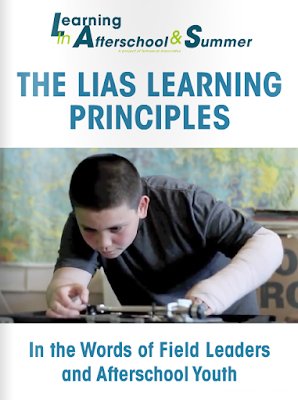 The Learning in Afterschool & Summer (LIAS) project has posted several video interviews on the relevance of the LIAS learning principles featuring afterschool and educational leaders from across the country. Now we have published an online, magazine-style guide to the LIAS learning principles with mini clips from these video interviews. This guide can be viewed with a computer, smartphone, or tablet. We also converted a number of important articles from the LIAS project and the Expanded Learning 360°/365 project. Click here to check it out.